Time savings, increased productivity, and fewer errors in the drawing room. We have taken our years of experience and used it to develop 30 additional features for Autodesk Inventor. Time-saving commands and options that allow you to work faster in Inventor. From small tricks to large time-saving applications. Available directly from the Inventor ribbon. Your design process will be more efficient than you ever thought possible. Automatically print and publish your Inventor projects in the right format and send them to the right printer. Effortlessly share your Inventor documents in every file format on SharePoint. Available directly from the Inventor ribbon. Automate more of your Inventor design processes to regain control over your engineering time. Automating time-consuming Inventor tasks achieves significant time savings - up to 80%. Work faster and better. Do more in less time. Automate error-prone transactions so they will never be forgotten. A faster and more efficient design workflow with less costly mistakes. Based on this idea, we developed a range of convenient Inventor tools. Design faster than ever, and automate repetitive design tasks. We continuously improve these time-saving Inventor tools, because we listen to the valuable feedback from our Inventor users. Printing, publishing or sharing all drawings for an Autodesk Inventor project can take quite a time. With our powerful NXTdim Inventor publish tools you can easily automate these tasks. Faster than ever. With the NXTdim Batch Publish Manager tool you easily print and publish a batch of Inventor documents using various printers and file formats. Thanks to our NXTdim Publish to SharePoint tool you can export and upload Inventor documents to SharePoint directly from Inventor. It is important to have uniformity in the components used. Not only for engineering, but also for other departments such as purchasing and the assembly department, and libraries are essential for this. The standard libraries in Autodesk Inventor are in English only and do not take different materials into account. Not only does our Content Center for Autodesk Inventor contain the most frequently used DIN components of the standard library, but it also includes material properties and is localized for Dutch. Centrally accessible, easily identifiable, and uniform for engineers and technicians. The result? Time savings and fewer errors! 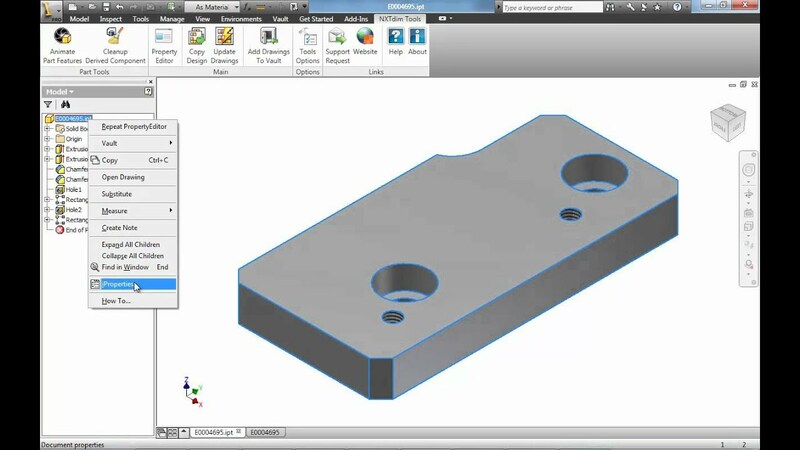 You're ready to get started with Autodesk Inventor and with our NXTdim Inventor. You will definitely need Inventor for this. If you don't have it yet, no problem! Using more than 30 years of experience, we have developed a best practice for the installation of Inventor. As such, you know that Inventor will perform optimally on your hardware as quickly as possible. We install Autodesk Inventor with the most commonly used settings that are based on years of experience with Autodesk implementations for countless customers. This provides you with an instant and proven template for 2D drawings. This way, you don't have to re-invent the wheel! Are you interested in NXTdim Inventor? Automatically print and publish batch Inventor documents using various printers and file formats. Effortlessly and automatically share your Inventor documents on SharePoint. Thanks to Cadac Organice Vault of Cadac Group, we did not have to reinvent the wheel when it comes to PDM. Thanks to NXTdim Vault, we learned how to set up the best document management system.